NICOLA Sturgeon has said she cannot give Ed Miliband a guarantee that there will not be a second independence referendum during the lifetime of the next parliament because such a decision would be taken by the Scottish people. The First Minister said she was “not planning” for another vote on independence but she did not have the right to categorically rule one out. Ms Sturgeon was appearing on BBC1’s Andrew Marr Show when she was questioned about a possible deal between Labour and the SNP after the General Election. She confirmed she would lead any post-election discussions with the Labour leader. Asked if she could give Mr Miliband a guarantee of no referendum in return for a Westminster deal, Ms Sturgeon said: “I have made very clear that if you vote SNP in this election, that is not a vote for independence, nor is it a vote for another referendum. “I’m not planning another referendum. Why do I fall short of categorically ruling it out? Because I don’t think as a single politician I have got a right to do that. Ms Sturgeon rejected the view that the SNP would attempt to cause disruption at Westminster to further its goal of independence. She said the party wanted to work for “progressive change” across the UK. 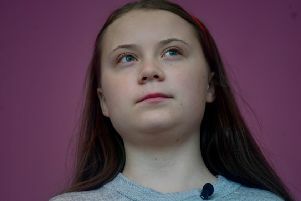 “I think there are many people in Labour’s ranks, including on their backbenches now, and perhaps in future, who would have the same view as me on many of these issues,” she said. “There is an opportunity to build progressive alliances for progressive policies. It is a real rather than a pretend alternative to austerity. “I’ve got to persuade people that the SNP in the House of Commons after the election will not be any kind of disruptive force. We want to be constructive, to get better politics coming out of the Westminster system.